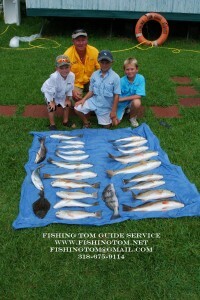 August 7 ,2011 Two Years in a row for a Birthday Trip for these Future Lake Calcasieu Fisherman!!! 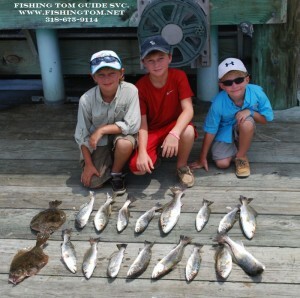 August 7 ,2011 Two Years in a row for a Birthday Trip for these Future Lake Calcasieu Fisherman!!! I put Both Pics of their Big Lake Birthday Trips up. Last year it was Big Lake Bronze Beauties and this year it was Specks and Flounder. For their ages these guys can fish!!! 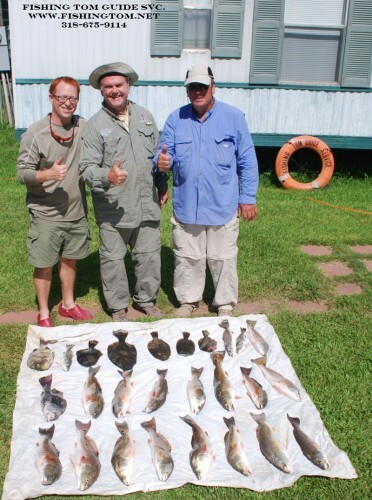 August 6 ,2011 Alex E. With Father Carlos And Nephew Zane Catch a Nice Mess of Lake Calcasieu Specks!!! Live Bait was the key to this Family Trip ending in a great success!!! 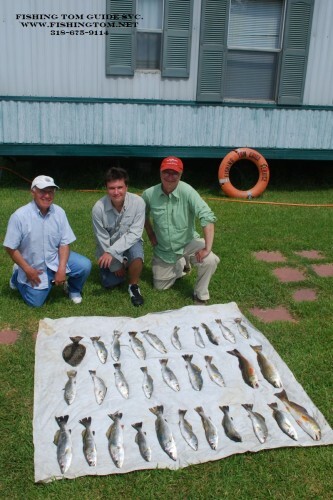 August 2, 2011 Mike G., Son Micheal & Friend Trey Catch some of Calcasieu’s Finest!!! 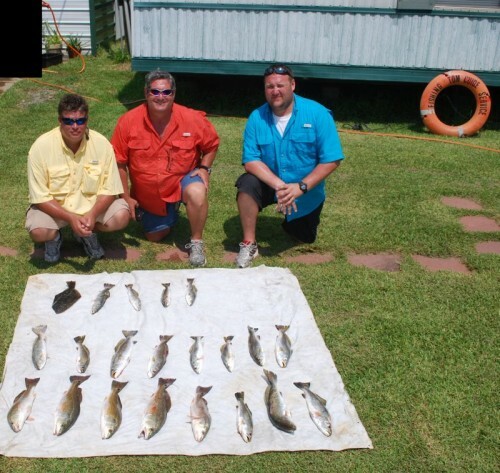 August 2, 2011 Mike G., Son Micheal & Friend Trey Catch some of Calcasieu’s Finest!!! Live pogies & fingermullet were the key to these guys catching some nice Big Lake Silver Beauties . July 31, 2011 Sean C. & Friends Have A Big Lake Slam Of a Day!!! July 31, 2011 Sean C. & Friends Have A Big Lake Slam Of a Day!!! Although the trout bite was a bit slow the Lake Calcasieu Bronze Beauties(Up To 32 inches) made up the difference. Drags were screaming in every direction with several doubles keeping the Captain busy on the net. The worst part was since some of the group had to drive back to Dallas and at the end of a great day we had to leave em biting!! !